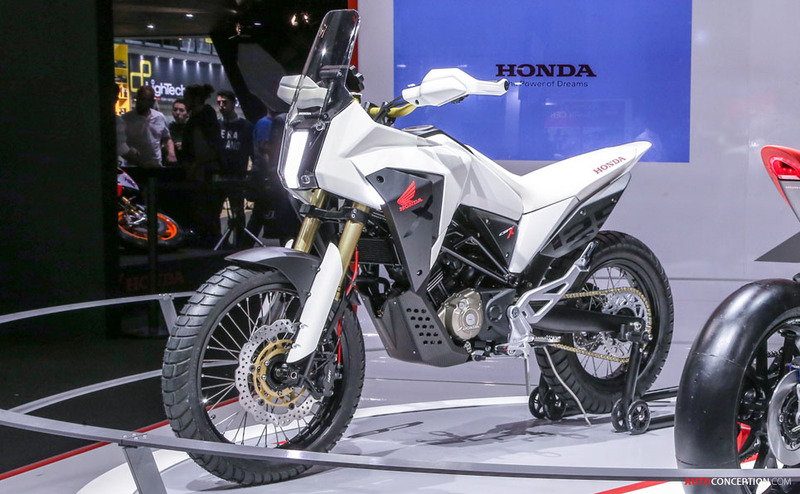 Honda has revealed two new concept bikes as part of a specially created ‘Design Studio’ area, which, for four successive years now, has formed an important element of the Japanese brand’s stand at the annual EICMA show. 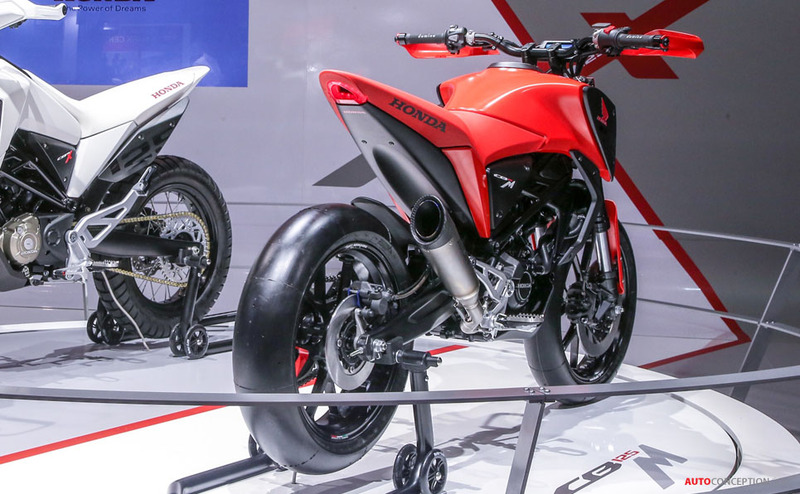 The two newly-unveiled 125cc design studies – the CB125M and CB125X – both take the new-for-2018 CB125R sport bike as their platform. 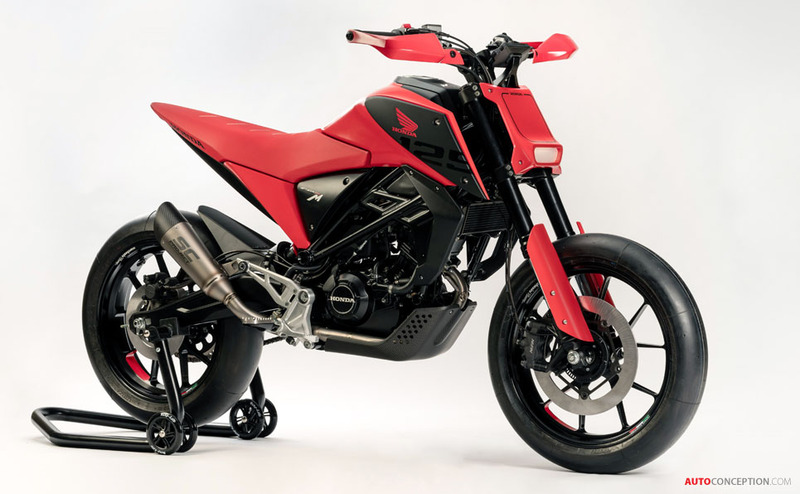 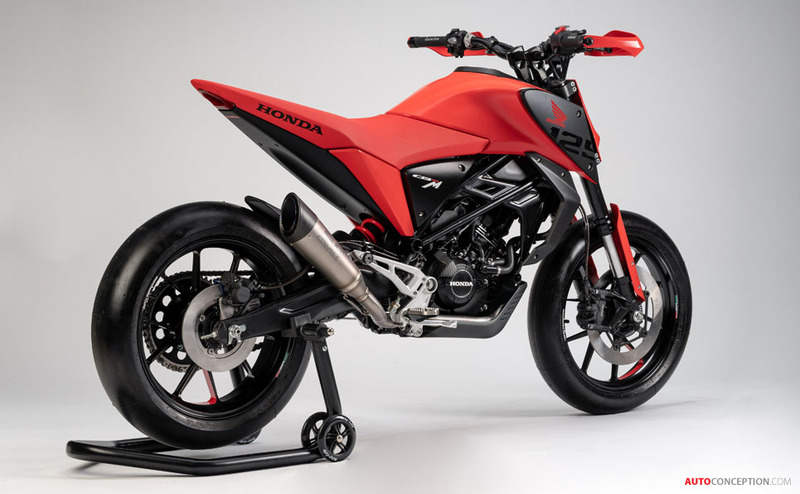 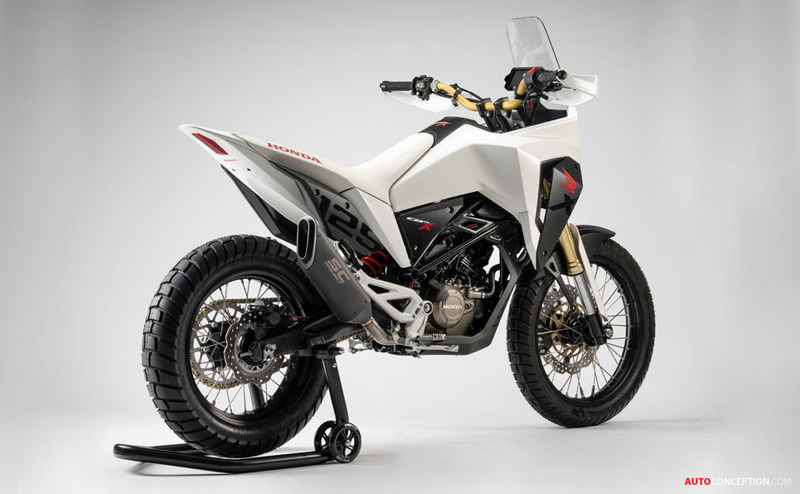 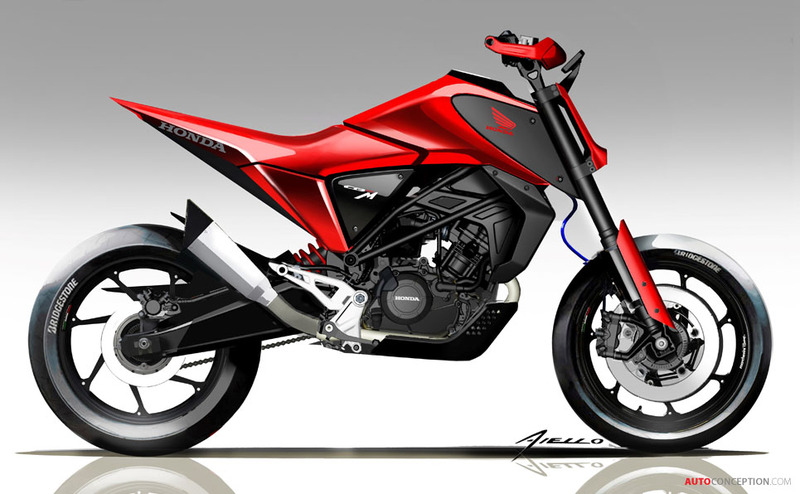 The 125cc segment of the market is said to be enjoying somewhat of a renaissance at the moment, with 25% growth in Europe alone in 2018; the concept models, designed by project leader Valerio Aiello and his team at Honda’s R&D centre in Rome, therefore offer two futuristic takes on this 1/8 litre class. 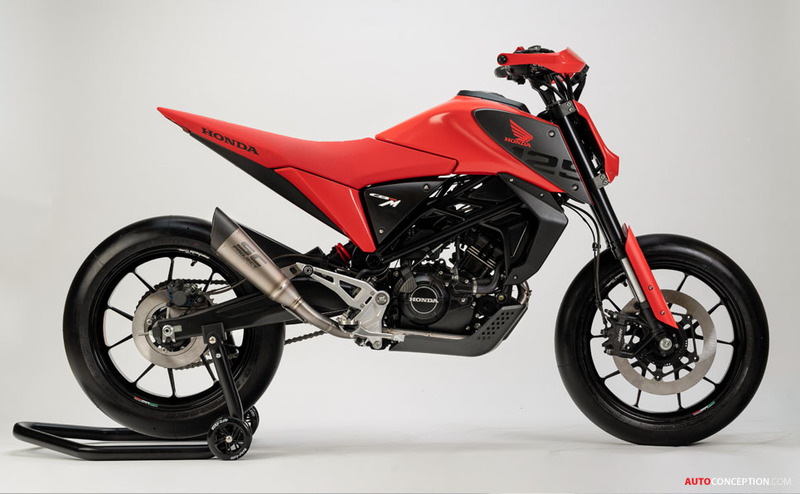 The first bike, the CB125M, is a naked street-focused machine finished in brilliant red, with more than a hint of ‘super-motard’ in its design. 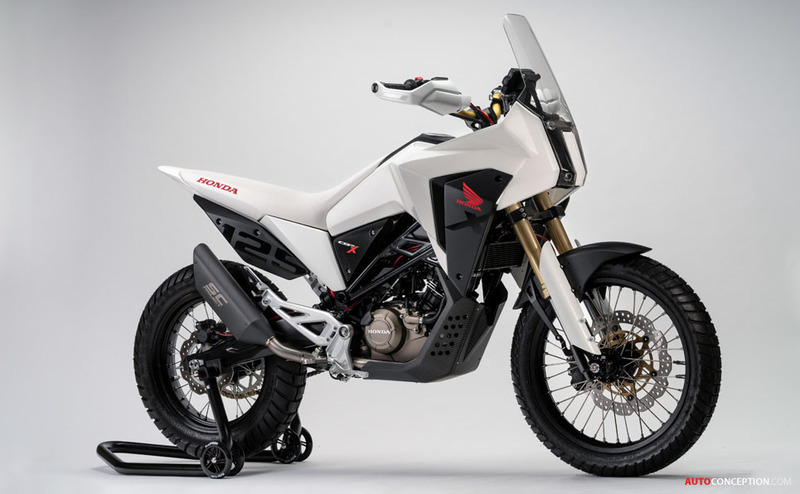 The bike’s lines are described as “minimalist and ultra-sharp”, with a seat section that blends into a short, high tail, and a minuscule LED headlight. 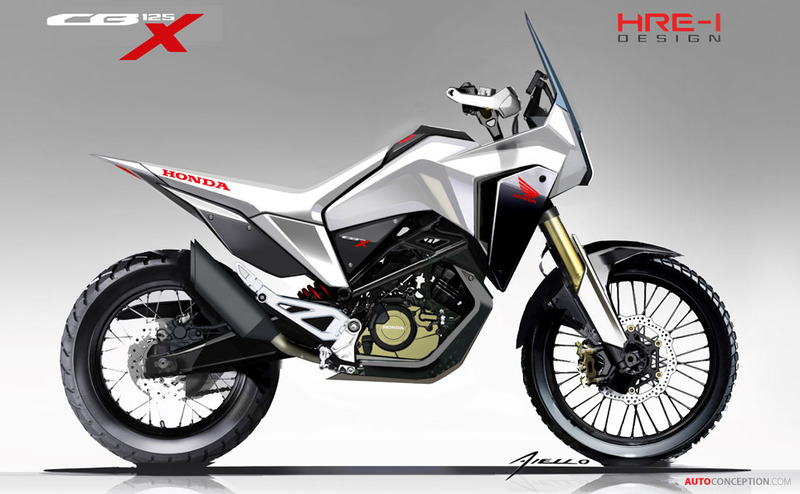 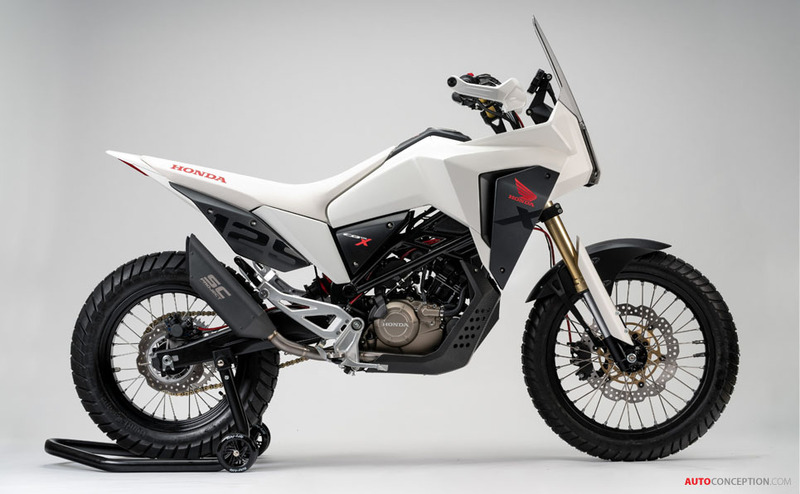 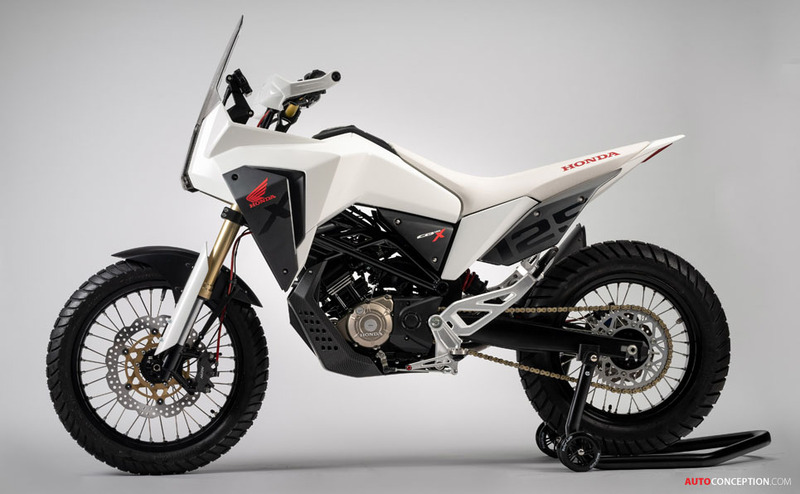 The all-white CB125X, meanwhile, is more of an adventure-focused ‘X’ model, with a multitude of chiselled lines and solid surfaces that Honda’s designers say have been influenced by the world of science fiction. 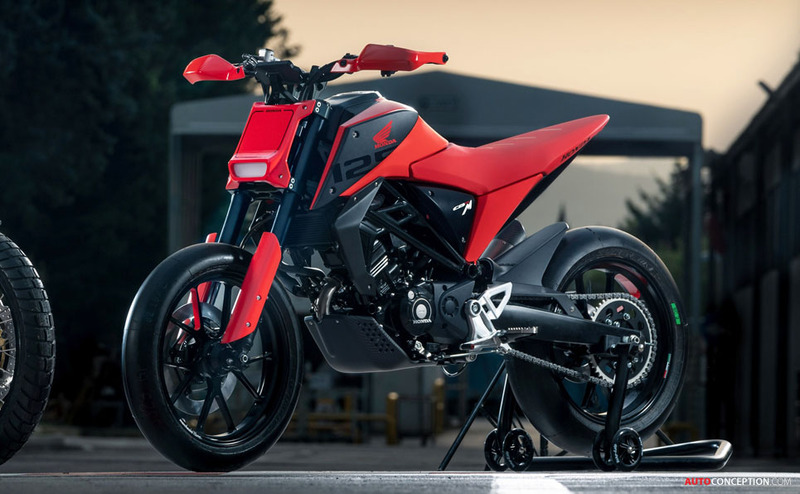 Details include a seat and frame combo that meet in a forward-leaning stance for an “aggressive” look, while the front also features three lights: one central and one tucked inside each side fairing. 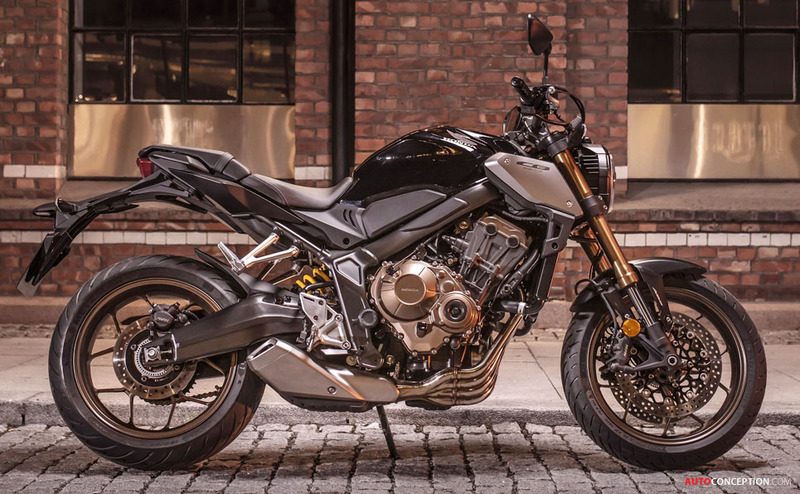 In addition to the two design studies, as part of its 2019 European motorcycle line-up, the Japanese manufacturer has also revealed the all-new CB650R (pictured above at the end of our gallery). 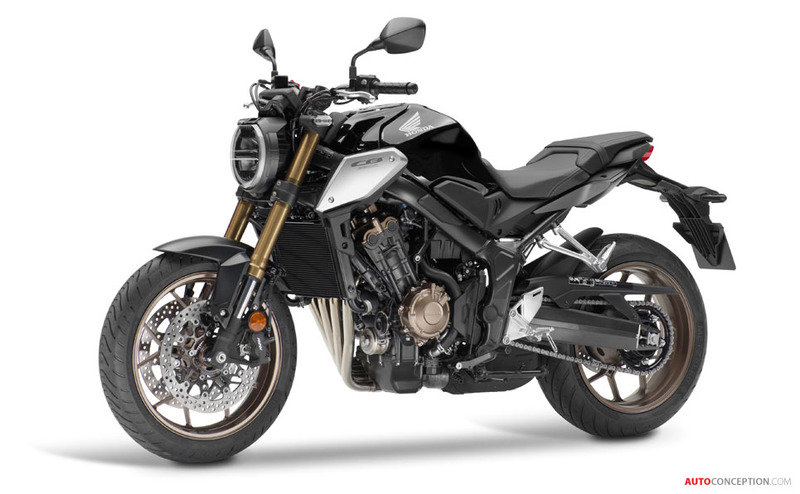 Having introduced the CB1000R, CB300R and CB125R trio of naked models for 2018, the CB650R brings Honda’s so-called “Neo Sports Café” look to the ultra-competitive middleweight arena. 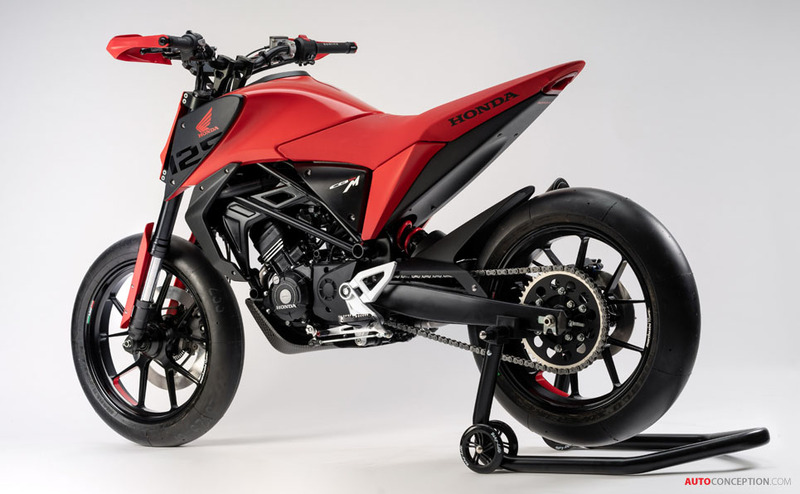 As such, the new model mixes café racer inspirations and a compact ‘trapezoid’ form to remain faithful to the concept bike which previewed it (revealed at last month’s Paris motor show). 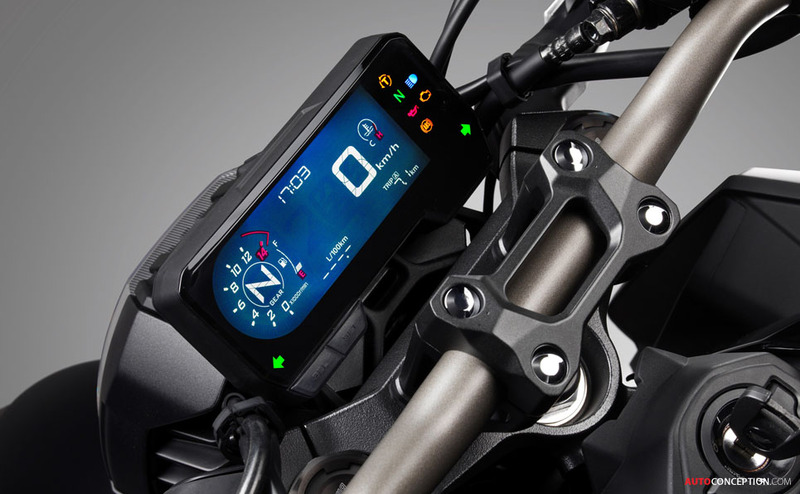 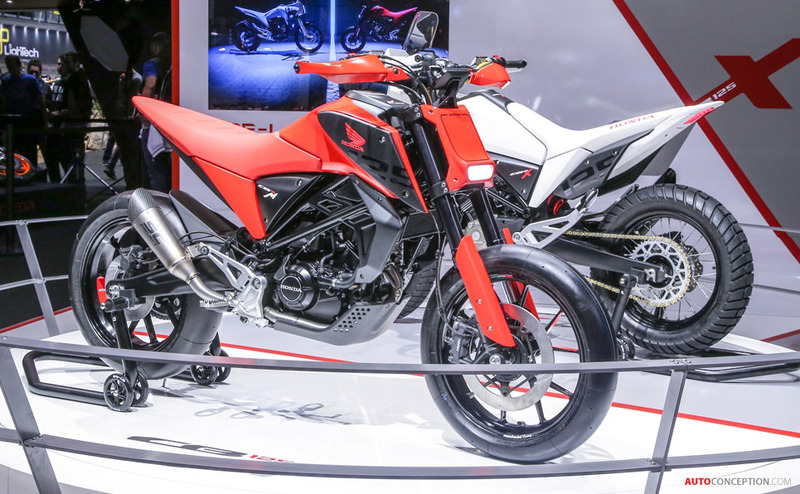 The motorcycle’s in-line four-cylinder engine is fully on display, and the signature round headlight and sculpted fuel tank underline the ‘Neo Sports Café’ family feel. 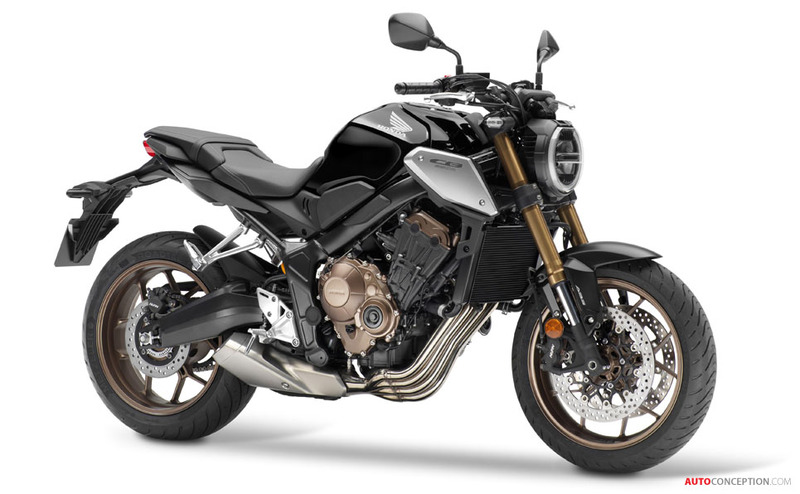 Compared to the streetfighter-styled CB650F, which it replaces in Honda’s line-up, 6 kg is claimed to have been saved from the chassis owing to a revised frame, fuel tank and footpegs. 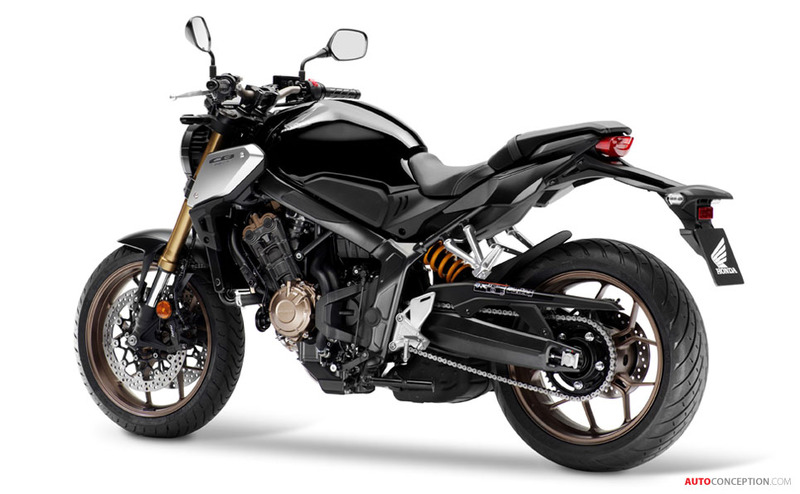 A 41 mm Showa SFF USD fork, radial-mount four-piston calipers, floating discs and new wheels are further features not present on the old CB650F. 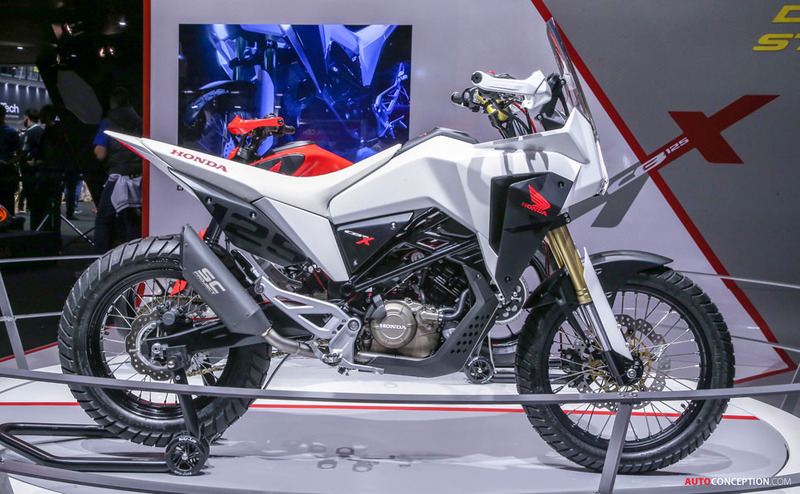 For the 650cc engine, which is is mated to a six-speed gearbox, a revised intake and exhaust, plus new cam timing and compression ratios bring a 5% peak power boost and improved torque delivery through the mid-range. 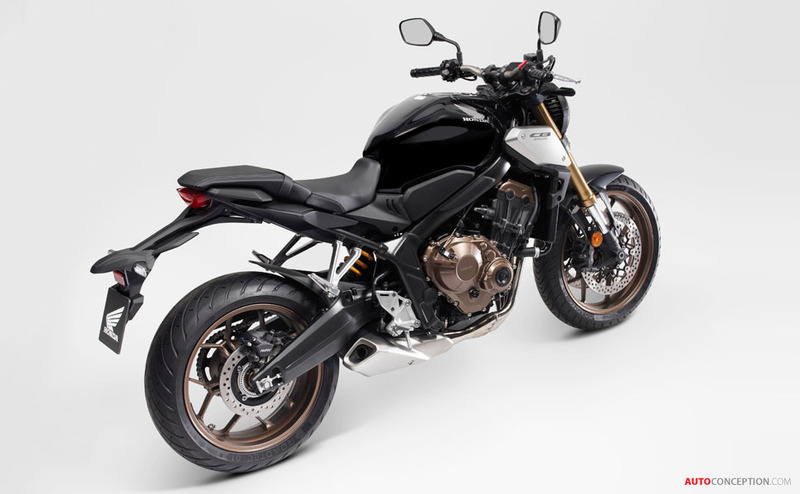 The engine revs to 12,000 rpm, an extra 1,000 rpm compared to the CB650F. 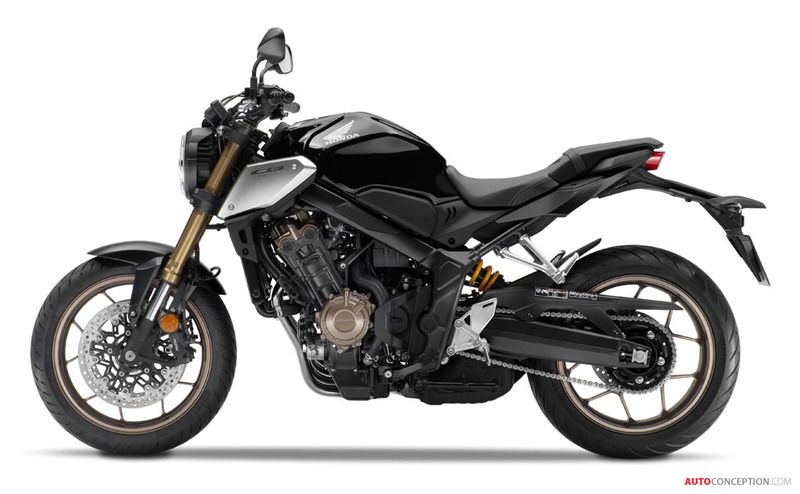 Peak torque of 47 lb-ft is delivered at 8,500.